Make a joyful noise unto the Lord! The music ministry at Grace is dedicated to enhancing the worship service and praising God through song. Anyone with a love for the Lord and a willing heart is encouraged to share their talents. 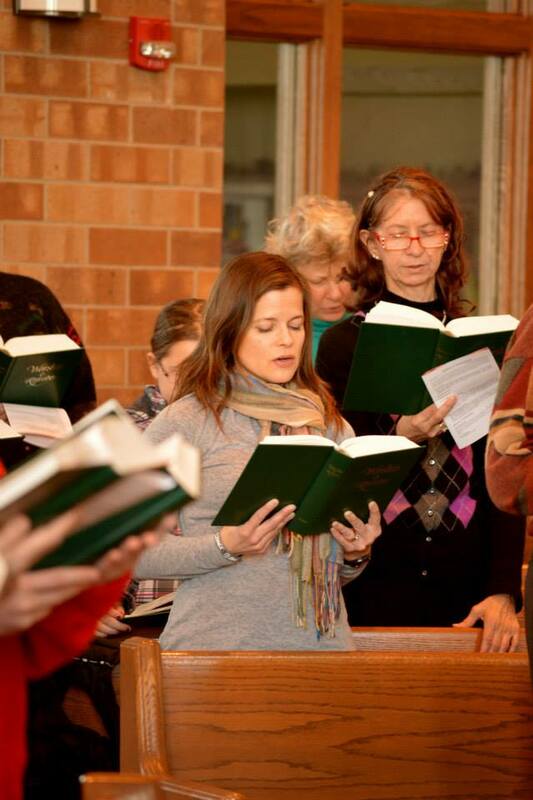 Adult Choir meets Wednesday evenings from 7-8:15 pm during the months of September through May. The choir sings 2-3 Sundays a month as well as for special services. Christmas cantata-Every other year our choir presents a cantata, with the next one scheduled for December, 2015. Everyone is welcome to join for this special occasion, even if you are not a regular choir member. The cantata choir practices on Wednesday evenings from 8-8:30. Instrumentalists meet 2-3 times as set by the director. The cantata is presented during the month of December for both services. Men’s Ensemble is a group for men who love to sing barbershop and gospel music. This group meets after adult choir from 8:15-9pm on Wednesday evenings. The group sings at church 4-6 times a year including special services. Handbells meets on Mo nday mornings from 11:00-noon during the moths of September through May. They play for 1 service a month. Children’s Musical-Every spring the children and youth of Grace Congregational Church present a musical. The practice times are based on availability. All children are encouraged to participate! There are many opportunities for lead characters as well as behind the scenes help. Special Music– There are opportunities to share your musical talent without being in a group. Individuals are encouraged to sing or play their instrument for services throughout the entire year!